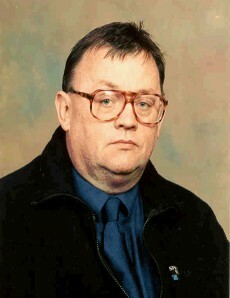 Councillor Terry Kelly: SOME PEOPLE JUST CANNAE TAKE A JOKE. SCOTS? SOME PEOPLE JUST CANNAE TAKE A JOKE. SCOTS? I remember reading in an art history book that cartoons and graffiti are as old as paintings, drawings, Books etc. I found an example where Michael Angelo had painted 'The Last Judgement' and he painted the faces of his enemies among the church hierarchy, the cardinals, bishops etc. the damned who were shown descending to hell after being judged, he was also a brave man. He was also a great painter 'the Sistine Chapel? 2 coats in 1 afternoon" what a guy. Fast forward many many years to the roaring fun loving years of Nazi Germany and we find that certain cartoons or jokes or famously books were very dangerous things indeed. A fine example of this was a luminous avante garde left wing cartoonist and painter called George Grosze. He specialized in lampooning the Nazis and upper classes in bohemian Berlin. He rightly decided at one point though that it would be prudent to head for America while he was still alive. I digress but his son Marty Grosze became a celebrated jazz guitarist and band leader a brilliant and hilarious entertainer, he might still be alive you can catch him on U Tube. So what is this all about I hear you ask? Well; in the past couple of days we have been forced to reflect on the fact that there are still people who think like the ancient cardinals who had it in for Michael Angelo and the censorious protectors of German decency who wanted to jail George Grosze, and they are right here among us. I refer to the 'stushies' surrounding the two great current cartoonists and satirists Gerald Scarfe of The Sunday Times and Steve Bell of The Guardian. Scarfe did a cartoon of Israeli PM Benyamin Netanyahu building part of the famous apartheid wall where the cement between the bricks was seen to be Palestinian blood. This brought an all too familiar orchestrated cry of Anti Semitism against Scarfe by Zionist liars who trot this scurrilous charge out against anyone who says anything bad about Israel, I have been subjected to this myself despite never having made an anti Jewish statement in my life and it can be very nasty, they are nothing if not powerful and organised. This brings me to the side-splitting Steve Bell of the Guardian who chose to produce a cartoon of Alex Salmond which was very funny and a bit monstrous at the same time. these words were written behind his huge plump head and his face which had a big blue saltire painted on it "Scotland should go and **** itself" the top of Salmond's head obscured the blank space. Well!!! I kid you not dear readers, the snp/separatist/cybernats have gone 'doo lally' they want Steve Bell's head on a pike, he has traduced our noble country, he has insulted our glorious dead , he has peed all over oor grannie's hielan hame, stolen oor wullie's bucket, this insult must be avenged. Guardian readers will be aware that there is no such thing as an off limits target to Steve Bell; above all among those who like Salmond can strut while seated. Salmond has sensibly chosen to fume in silence but his gullible troops are chewing the carpet. This is yet another example of the state of mind of the nationalists. Just about every significant public figure from Prime Ministers to Popes to US Presidents to the Queen and Phil. to the rest of the royal oafs; to pop stars and you name it have all had their arrogance pricked by Steve Bell's unerring eye for the absurd but, Salmond and Scotland? Oh no Mr Bell you have gone too far. Well Scots. are you on the side of the cardinals, the Nazis and the snp or, do you prefer freedom of expression? It's a difficult one isn't it? "to whistle or be merry or travel on a ferry. Would get ye hung on Scotland's Sabbath day"
This is a vision of an independent snp Scotland, be warned. Well said, Councillor. Cartoonists from Cruikshank to Hogarth have had the wit,skill and courage to lampoon the ruling classes. Damn dangerous it could be at times, too. Remind me, whatever happened to the guy who had a pop at Stalin in Krokodil? And the editor too, come to that. Do you agree Terry Kelly should go and **** himself? Anonymous said...Monday, February 04, 2013 10:43:00 am. I'm sure there are lots of snp half wits would agree with that, that's what keeps me sane. I don’t know what you are talking about with Margaret Curran but this “Had this been an article saying Vote YES and tell England to go itself then I suspect there would have been questions in the house” ia a typical response from a stupid paranoid snp/separatist/cybernat you are an embarrassing joke. And I think you are a typical delusional Gnat. You think repeating lies ad nauseam will make them true, that is about the level of your thought processes. "Some people just cannae take a a joke." Eh, Terry? We are Renfrewshire Labour Council. Put your trust in us!!! I read in the newspaper that the council are going to axe 250 council jobs. can you guarantee that there will be no compulsory redundancies. The reduction in Government grant for Renfrewshire Council is £16 million. We are the snp Scottish Government put your trust in us!!! Can you explain why, as someone who has always championed gay rights that you voted for Jim Sheridan MP at the last general election? As we now know this wicked bigot voted against gay marriage. I can only assume you were unaware of his hatred for gay people and hope you will now offer your assurances that you will do everything in your power to prevent this vile bigot standing for Labour again. I also hope you will be condemning the other bigots lurking in the Scottish Labour Party; Brian Donohoe, Michael McCann, Jim McGovern and Iain McKenzie. Surely you will agree that these hate filled individuals would be better suited to the BNP than Labour? Council jobs to pay for free school buses. I disagree with Jim Sheridan’s position on this issue profoundly but knowing him as well as I do I have to say I do not consider him to be a wicked bigot. I believe that anyone who is prepared to label others as bigots because they do not agree with their opinion is in fact a bigot themselves and as such are more suited to membership of the snp. Nor do I consider the Scottish Catholic triumvirate of O’Brien, Conti and Tartaglia as bigots either. I believe them to be 100% wrong while being 100% sincere at the same time. Your attitude is undoubtedly damaging to the gay community and their struggles. Anonymous said...Wednesday, February 06, 2013 10:05:00 am. Council spending is a matter of priorities and Labour's priorities thank goodness are different from the previous snp administrations. "I believe that anyone who is prepared to label others as bigots because they do not agree with their opinion is in fact a bigot themselves..."
That describes you admirably, Councillor. Either you've been on a 'Self-awareness' course, or, more likely, never was a man so hoisted by his own petard. Free school buses are more important than jobs. So you are telling me that giving school transport for free is a higher priority than saving 250 jobs. How then do you explain the fact that I tolerate you and many others whom I disagree with on this blog? Terry, you've barred me half dozen times as a -and I quote - bigot, racist and homophobe. Seems I'm now on the side of the angels...or at least, Jim Sheridan. Good to see your intolerant days are now past, you forgiving wee rascal. You have said that council spending is a matter of priorities. Labour have demonstrated that handing out free transport is of a higher priority than saving jobs. You don't have to say it as it clear for everyone to see. Apart from you of course. Thursday, February 07, 2013 12:22:00 pm. Don't flatter yourself, if I have barred you half a dozen times why are we swapping insults now. I regard myself a very tolerant man indeed, you and people like you are proof of that. Thursday, February 07, 2013 1:45:00 pm. I have said and I repeat that Labour’s priorities are very different from the snp’s. I am happy with that and so apparently are the Renfrewshire electorate as they demonstrated last May. You can twist and turn if you like but you seem to forget the 1,700 job losses under the snp during their wretched spell in charge of Renfrewshire Council as well as cancelling the school buses. Terry, amid all the talk of councils having to cut services and staffing levels because of government funding cuts, it occurs to me that cutting the number of Councillors would save a few bob...and maybe keep a few more street cleaners in jobs. Is it worth pursuing, do you think? I’ve no doubt that I could give you a list, of Tories, Libdems, Ukips and other Nationalists of one stripe or another who could be cut and none of them would be missed. Why are you such a racist? Why do you get to steal my taxes to spout racism all day long? Have you ever knowingly told the truth in your entire labour sleazebag filled life? Can you explain how you can be a Unionist without a Union? Also how does buying more nuclear weapons mean you are getting rid of them? Always a good one that. Whoever you are, should you not at least consider an attempt at making sense and trying to behave in a semi human way? If you did you would not need to hide your identity out of shame as you do now.